Starting to DM? Advanced roleplayer? Our guides and tips can get you started, take your ttrpg sessions to new levels and make the most of your games. For Dungeon Masters, to Player Characters, from all degrees of experience, our guides should help you out where you are stuck, unsure or just need a bit of advice. You have headed the call of the Game Master, but now what? We will show you how to start to be a DM, to what to consider, tips and tricks to help you manage your table and overall have a fun experience from the start! 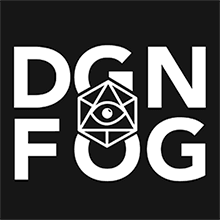 You’re no novice, and have a good chunk of DM sessions under your belt, but your players are hungry for something different, we show you how you can add a new level of detail to your sessions, and how to deal with more complex issues that may arise! You’re a master of your table, your players love your games, but perhaps you want something… else? We look at rethinking general concepts in new ways, take narrative GMing to a new level and engage your players like never before. Tabletop Role Playing, where to start? We show you the basics of getting a solid character off the ground, whilst we don’t focus on stats, we take a look at how you can roleplay your character in a fun way that you will enjoy. You’ve played a few characters, maybe even some have died, but hey, no one is judging! Here we look at how you can add spice to your characters, look at more complex issues, but also look at how you can deal with the other player characters at your table. New character? sure thing, you do that in your sleep now. But how about roleplaying an unusual race, different genders, and asking tough questions and challenging yourself on character design and roleplay. This is where we take your characters and your general roleplaying to different challenging spaces! In this weekly series, we go from building a complete campaign from scratch. Looking at the world, maps, the plot, the characters, the nemesis, and more! This series can be applied to any role-playing system you may be using from Dungeons & Dragons, Pathfinder, Star Wars D20 to Star Trek.